Thousands and thousands years ago Chinese physicians discovered cyclical pulse changes using only manual palpation. They have found that pulse in some points has regular changes度 every 28.8 minutes completing cycle周 of fifty such changes during 24 hours. Ancient Chinese named them yin and yang cycles. They also discovered that similar changes happen every 14,4 minutes, half of every yin and yang period and named them Ke 刻 or cut. These pulse changes were a result of cyclical switches of blood and Qi circulation. Following their research Chinese have found that these alterations happen in everybody simultaneously. As a result of these observations they realized that all above mentioned cycles happens due to rotation of the planet Earth. So they successfully reproduced it in water clock which they adjusted every day using the pulse, making it work with exactness to couple seconds. Going further with their research Chinese ancestors realized that after the birth our pulse is absolutely synchronized with above-mentioned Earth cycle, and later this synchronization is becoming weaker and weaker resulting in increasing dysfunctions and diseases. So ancient physicians have found one incredible tool, giving possibility to re synchronize body with astronomical cycle and let any diseases and dysfunctions to be healed. They started to use metal conductors in form of acupuncture needles to connect asynchronized body of patient with cyclically alternating Earth field, returning patient to his healthy biological rhythm. 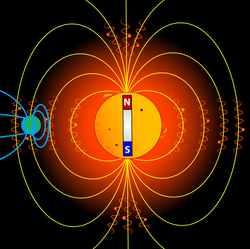 This treatment uses the huge force that Sun's magnetic field applies to the Earth to keep it in rotation movement, as you can see on the picture. Ancient Chinese has discovered it more then 3000 years ago, leaving written documents. My research and translating of said documents has provided me with answers for practical treatment of most difficult health conditions applying this method, which was in secret for mostly 2000 years. Applying this knowledge on practice you will receive a treatment that will synchronize you with planetary cycle, providing for your body best way to be healed. Restoration of planetary cycle provides not only recovery from disease or misalignment but extremely long and full of energy and health life when performed periodically. It is like tuning fork's vibration is decreasing with time unless it receives new and new hit making its vibration for as long time as we want. Taking in account particular condition of patient reflecting in his pulse and particular moment of period of the normal Qi force dominating surrounding nature I provide actions to leave patient in resonance with these forces, helping them to restore normal physiological processes instantly under control of the pulse. So any condition may be treated with this huge help.